Question #3: Why don’t you keep the fish? Conservation is embedded in the fly fishing culture, but for me personally there are several reasons I catch and release. I can summarize them into two words: consuming and resuming. -Anything big enough to take home to consume has been in the river for enough time to absorb some of the chemicals that are consistent with an urban watershed, namely mercury and polychlorinated biphenyls, or PCBs. -I don’t need to consume trout and have other environmentally conscious alternatives available to me. -Trout is not my favorite fish to consume anyway…particularly not since most fish in the Truckee are planters from a farm, fed something akin to dog food. -As the great late Mitch Hedburg used to say, “they catch the fish, but they let it go. They don’t want to eat the fish, but they do want to make it late for something.” The fish you catch are a part of a bigger ecosystem helping feed bigger predators and controlling prey populations. I think it best to let that fish resume his role in the system and take the pic for your enjoyment instead of his carcass. 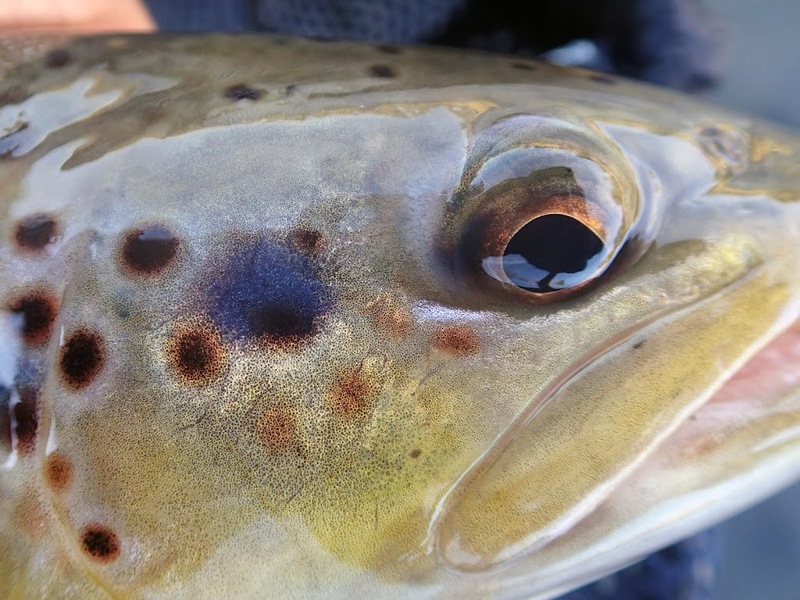 -Catching and releasing wild trout (that typically have stronger genetics and more exaggerated colors/spots) is even more essential so that their DNA can resume being passed on. -If you practice catch and release, you don’t have to pay attention to local keep limits. If the fishing is hot, you can resume fishing as late as you’d like. I would add that barb-less hooks are an important part of this approach. It’s not a win to damage the anatomy of a crap-ton of fish and call it conservation. Question #4: Why don’t you smile in your pictures? Because when I smile I feel like I look like this guy below. 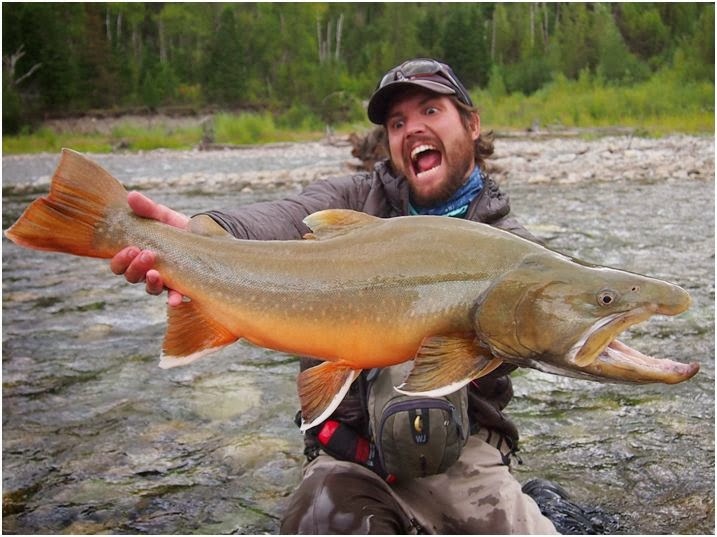 If I was in Canada wrangling a massive bull trout, I might justify making the same face. What a fish. Also, I should note that the fight portion of the catch in “catch-snap-release” elicits more emotion than the snap and release. Till next time. Cheers.